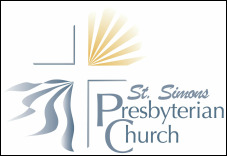 St. Simons Presbyterian Church is made up of everyday people who have knit their lives together in Jesus Christ through worship, mission, service, and growth. We come from all walks of life, and we aim to take our diversity and use it with gratitude in service to God who loves us and claims us in Jesus Christ. Our church was founded in 1946 and has continued to boldly bear witness to the love of God in the Golden Isles and throughout the world. We are not alone in the faith, but we share a connection with Presbyterians throughout southeastern Georgia. We are one of the churches that makes up Savannah Presbytery, and together we nurture the Christian faith in all ages. We are part of the Presbyterian Church (U.S.A.), which has a nationwide and worldwide witness to the love of God that we have met in Jesus Christ. Join us on Thursday evening, April 18, for a Maundy Thursday dinner and communion service. This is an event for all ages as we continue our Holy Week journey by remembering the events of Jesus' final evening with his disciples. CLICK HERE FOR MORE INFO & TO SIGN UP! Join us for a community luncheon this Friday, April 19, in the Social Hall. Come as you are and bring a friend! All are welcome! We have several camps and events this Summer to choose from. Click the link below to see the full list and get signed up today! CLICK HERE FOR ALL SUMMER EVENTS & INFO! A great experience for youth and adults alike to enjoy God's creation as we explore this beautiful barrier island on foot and by kayak under the careful eye and helpful guidance of trained staff from Southeast Adventure Outfitters. CLICK HERE FOR MORE INFO & TO SIGN UP TODAY!